Flexible pins with the handle can be rotated 364, provide all round grooming. Tipped shorter pins gap coated longer tips provide shower grooming without worry of hurting dog's skin. 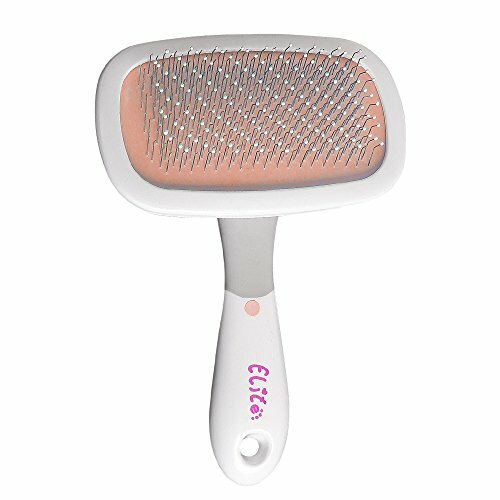 Slicker brush gently remove mats tangles and loose hair from your dog's coat, leaves your pets coat soft and shiny. Daily brush doing massage for your pet is good for preventing skin disease and increasing blood circulation. If you have any questions about this product by Ihoming, contact us by completing and submitting the form below. If you are looking for a specif part number, please include it with your message.